The world of work is daunting for all university students and recent graduates: even more so with a disability. Now open for 2019 applications, Change 100 - a scheme from disability charity Leonard Cheshire - matches disabled young people with an employer for three months of paid work experience. 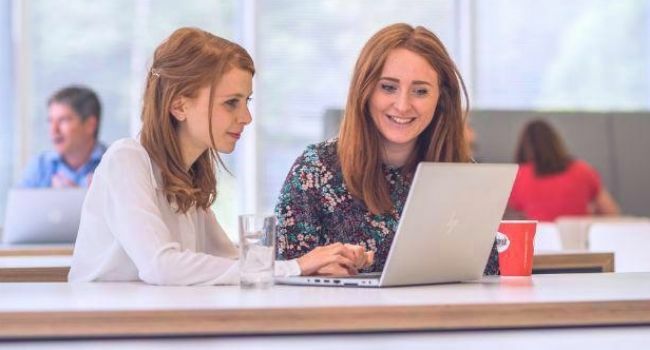 As well as the internship itself, Change 100 interns benefit from a six month long development programme to support them both during and after their placements. The scheme is open to young people with “physical, visual or hearing impairments, mental health conditions, and learning disabilities and difficulties like dyslexia and dyspraxia”, covering a large range of disabilities. The internship that Change 100 provides its interns with is valuable, but it is the confidence the scheme gives them that is invaluable. Victoria Passant, Leonard Cheshire’s Programme Manager, says that the scheme "aims to break down the barriers faced by disabled people in the workplace and give talented students the opportunity to kick-start their careers”. Figures from a recent government report make it clear that disabled people struggle to find employment, having an employment rate that is 30.4% lower than those without disabilities. This figure does not reflect the complexity of issues surrounding employment for disabled people; it is not just finding employment that is challenging but finding appropriate employment that caters to their individualised needs. And that’s just the beginning… staying in employment brings a whole wealth of potential issues: the needs of a disabled individual may change on both a long term and short term basis. From flexibility of working hours to an allocated office instead of hot-desking, the Change 100 team acts as a middleman between the intern and the company in communicating adjustments. Change 100 asks interns to disclose what adjustments they require in the workplace, leaving it up to them how much - if any - information about the nature of their disabilities is shared with their employer. Individuals may have become so accustomed to life in a world built for people without disabilities that they themselves might be unaware of the wealth of adjustments and accommodations that would make work that bit easier. The Prime Minister commissioned an independent review into workplace mental health, and “Thriving at Work” highlights the need for employers to offer appropriate adjustments for employees if need be. Whilst it may not seem of much interest to people without disabilities or those working within the disability sector, Change 100’s policy not to ask for medical evidence of a disability is striking. In a world in which the disabled are disregarded, scrutinised, and doubted all too often by medical professionals, peers, and employers alike, Change100 believes its interns unconditionally. And all those with experience of disability will know how much this means. The quest for an NHS diagnosis can be long, with some diagnoses being particularly difficult to get via this avenue. This means that those who cannot afford a private assessment are unable to get that oh-so important piece of paper that is often needed to access reasonable adjustments, and a formal diagnosis may come years after an individual starts experiencing symptoms that affect their ability to function. By not demanding written evidence from a medical professional to authenticate an intern’s lived experience, Change 100 is demonstrating its commitment to inclusivity. In a world in which the disabled are disregarded, scrutinised, and doubted all too often by medical professionals, peers, and employers alike, Change 100 believes its interns unconditionally. Chloe, who is studying for a postgraduate degree in Renaissance Literature, had a Change 100 placement in a communications role. Having experienced mental health problems since the age of six, Chloe feared her Obsessive-Compulsive Disorder (OCD) would prohibit her from leading a normal life, especially in the workplace. "It feels like the easier option to pretend to my employers that my OCD doesn't exist", she says. "In reality, this has made feeling comfortable at work much, much harder." "The Change 100 programme has really helped me build my confidence back up. Just knowing that my employers were making a decision to be more inclusive and aware of disabilities in the workplace made it so much easier to start working with them". This shows that it is not only the practical adjustments made by employers that help an intern thrive, but also their attitude. The scheme creates an environment that builds upon this culture of understanding and acceptance. Monthly development sessions in which the Change 100 team put on a programme of employment-related workshops equips the interns with a wealth of knowledge about how to succeed at work without compromising their well-being. As well as providing the interns with a network of contacts in a variety of different fields and industries, it gives them a cohort of fellow interns who understand the struggles they face all too well. "Everyone on the Change 100 team has been encouraging and supportive", says Chloe. Having a group of people to tell you "I believe you; you shouldn't have been treated like that" means a lot to many, and will be the validation needed to encourage interns to seek workplace adjustments in future jobs. Change 100’s headline claim is that it “brings together the UK’s top employers and talented disabled students and graduates to offer three months of paid work experience”, but this is not its main merit. Change 100, through providing interns with a cohort of peers with a mutual understanding of disability, makes them feel understood, valued, and empowered. As a previous Change 100 intern, I can say that the scheme gave me the confidence to apply for the job that enables me to write this very article. Change 100 can’t necessarily change the workplace, but it can give interns the confidence to navigate it. Applications are open until 16 January 2019.